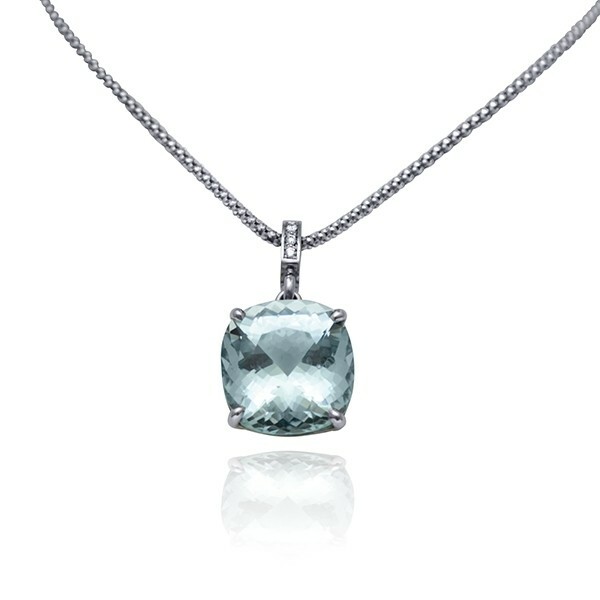 This brilliant aquamarine, which weights in at just under 12 carats, is beautifully cut and mounted simply in a white gold setting with just a few diamond accents on the bail. This necklace is one of Tamara's "Studio1098 Staff Picks". Tamara says: "What I love about this aquamarine is that it stands on its own. It doesn't need a fancy setting to shine. From a Gemmologist's perspective, it is a beautiful collector's grade specimen, and I am delighted to offer it in a way that also makes it eminently wearable."